Get Involved – Golf Outing Committee Needs You! Are you ready to think Summer? 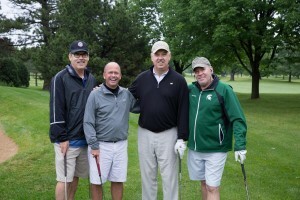 Join the Golf Outing Planning Committee and help plan the Chamber’s most popular summer event! Enjoy meeting new Chamber friends as we put together the elements for a successful Outing on June 14. The time commitment is minimal; just three informal lunch meetings beginning in March. Knowledge of golf is helpful but not necessary. To be part of this fun team, contact Katie Walther at (847) 513-6003 or katie@northbrookchamber.org. Now’s the time to secure the most visible sponsorship spots for the Chamber’s 2019 events. Making the commitment now ensures that you will be able to take full advantage of all the marketing benefits of your sponsorship! Contact Katie, katie@northbrookchamber.org for more information.